What a wonderful WEG we had… I have to say sitting at home on a dark autumnal evening, with a definite chill in the air, it’s hard to imagine that a very short time ago myself and Jorge were dancing our hearts out at our biggest competition as a partnership to date. We have done two Europeans together, but it’s a big jump to a World Equestrian Games. And a long way away from home, in rural Lincolnshire! Jorge coped with flying really well, to the extent that he took off his own headcollar, so he could reach and steal his flying partner, Pimms’ (Erin Orford’s Dior), haynet! Cheeky boy! It was quite hot and humid when we arrived, but the unusually hot summer we had here went some way in preparing us! After a couple of rest days and gentle exercise, Jorge started to feel in fine form. 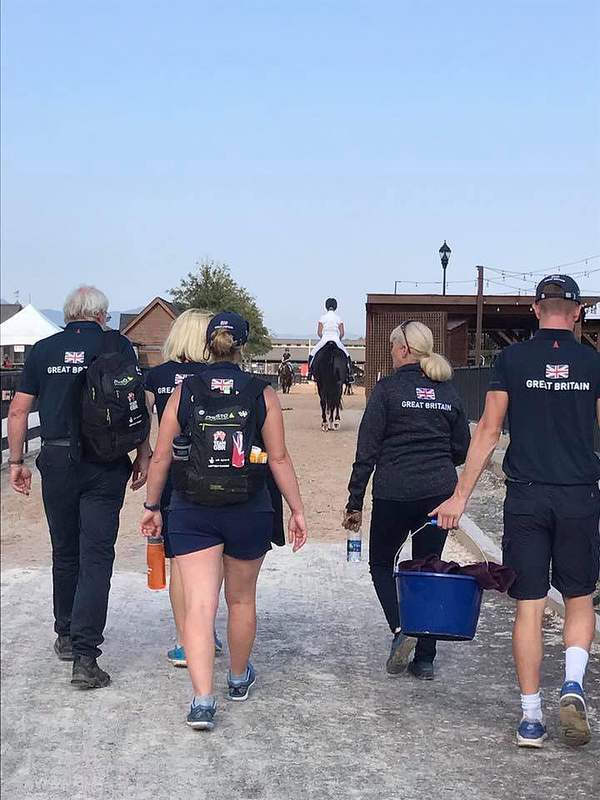 We had nearly a week before competition for training and acclimatising - and also cheerleading the Dressage and Eventing riders, which was very inspiring. Top class horses, riding and training. 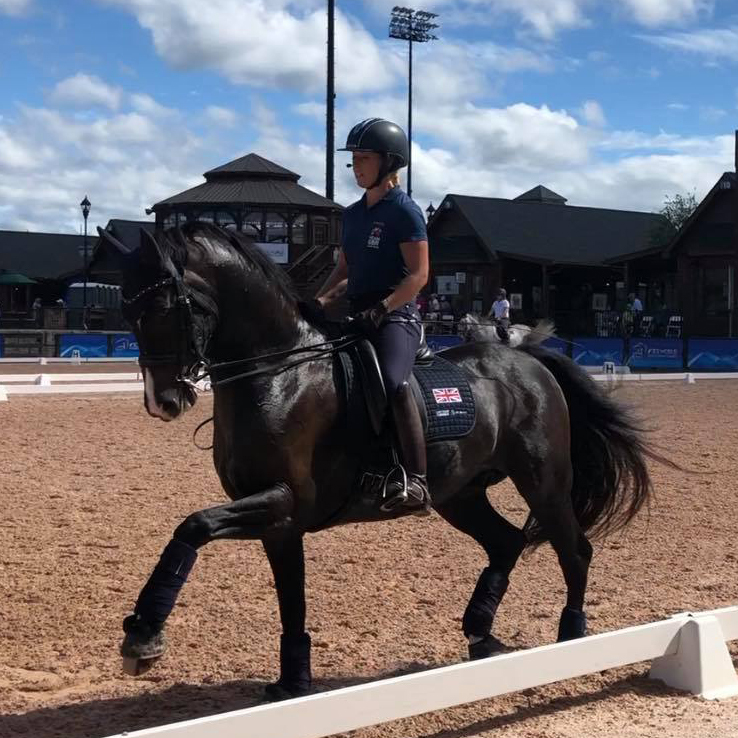 We have worked so hard on our own training through the year, and stepping up our game, I knew what we needed to do in the arena, but sometimes that is easier said than done. Our competition started with the Individual test first. Jorge was a little tense going into the arena, which showed after our first halt where we proceeded in canter instead of trot. I think my support team were quietly having kittens on the sidelines when my running score came up as 46%. It left me with a fair amount of work to do, but we relaxed into the test, and although it wasn’t our best work, we did enough for Individual gold - World Champions! It’s been eight years since I’ve been able to say that, four years ago Reece came so close with double individual/freestyle silver… it’s been a lot of hard work since then! But there was no time to sit and relax as we had the Team test two days later. Jorge had a little stretch on the day in between and I knew what I needed to change from watching both my video from the test and also the warm up, then speaking to Ange and Nina. Well the Team test I knew I had to pull out something special for the team. We were without a Grade 1 rider for the first time, and that is normally a strong score for the team. I focused on our process and what was important, and Jorge was feeling amazing. A little bit of tension as we went in and around the arena but he quickly came back to me. We went on to produce what I can probably say is the best test I’ve ever ridden, and equal the best he has performed in competition. By no means perfect, but I just knew at the end we had done everything we possibly could have. This led to me being quite emotional, when you have worked so hard for so long for it to all happen at the right time, as you have prepared for, there’s no other feeling like it. The power and harmony, all controlled by thought, when a horse is that much in tune with you, it’s incredible. And what topped it off was that the judges agreed, with another career best score, WEG record and valuable contribution and start that our team needed! 77.233% woohoo! We had a long wait to see if we had done enough as a team for that precious Team Gold. Unfortunately this time we hadn’t. It is gutting, we are all passionate about the legacy involved in being undefeated, but it had to happen one day. The Dutch deserved the gold and every member of the team scored above 72.9%, which is very good going! But for sure it will make us, as a nation, stronger and fight harder than ever before. So the last day came, Freestyle to music. I have worked since April to make a new freestyle for Jorge. I loved his old one but he was into his fifth season using it and he’s grown up so much in that time. I had a vision of what I wanted it to look, sound and feel like and I didn’t stop until I got it. Top freestyle composer Tom Hunt was just amazing with his patience every time I wanted to tweak different parts. He composed it all from scratch and I just love it. I did scare myself slightly on the difficulty of the floorplan in the canter, as it comes up very quickly. But we pulled it off. There were a couple of trips in the left half pass and right pirouette which put my heart in my mouth, and he was a little on edge - I think on reflection he was quite fresh as I had given him the previous day off, but much better that way round! It’s all about getting to know them, they all react differently. We gained another WEG record of 80.755%, just short of my personal best. The only +80% of the competition. Jorge has been an absolute star throughout. I’m so proud of him, I know he is a big scoring horse, I just need to make sure I don’t let him down! But it has been such a team effort to achieve all of these wonderful things. I couldn’t do it without my whole home team, the World Class team, my owners, sponsors and supporters, and of course family and friends. It is a reflection of everyone’s hard work, commitment, loyalty and belief in us that has brought us to this point. So thank you, to each and every one of you. I mean it from the bottom of my heart! 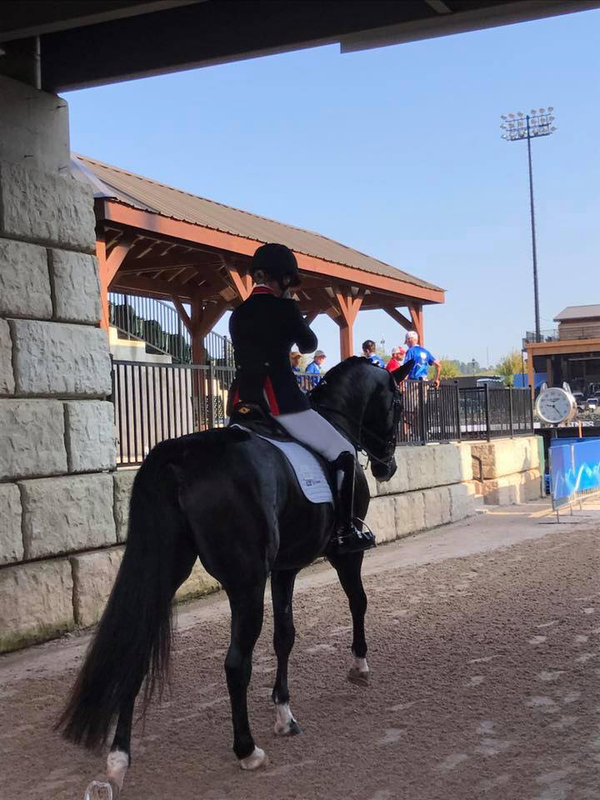 Older PostDreams Come True at WEG!